The Week So Far – Can Bojo Apologise? & The Energy crisis that is forcing people off the grid? Boris Johnson makes a habit of upsetting #minority groups, #women and entire cities then apologising. But will he say sorry to the UK Muslim community? 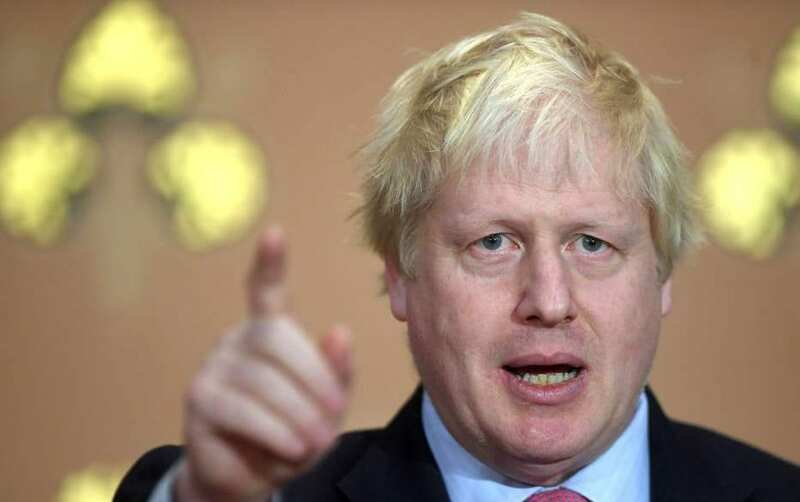 “Sorry Seems to Be the Hardest Word” is the title of a song written by Elton John and Bernie Taupin back in the 70s but it is so applicable today to Boris Johnson, the misogynistic and racist Tory MP who recently stood down as British Foreign Secretary. The Old Etonian and possible future leader of the Conservative Party seems to blunder through life insulting and offending those in his path without giving a second thought to the consequences. His comments have caused outrage with most people, even from within the ranks of his own party, with the exception of a few of his hardline supporters and others in the far right and and their sympathisers who appear to worship at the altar of intolerance. The Tory Party is under fire at the moment for signs of institutional Islamophobia within its ranks and while it tries to rebut these accusations the last thing it needed was Johnson to wade in with his wretchedly hateful, misogynistic views. For once I find myself in the unusual position of being on the same side as Prime Minister Theresa May. We both think Johnson should apologise for his comments made in a newspaper column. Let that sink in for a moment – it means he actually gave some thought to what he was going to write. It’s not as though he made a quick, thoughtless aside in the heat of the moment or an off-the-cuff remark. Of course this isn’t the first time a Tory leader has ordered Johnson to apologise. Michael Howard ordered him back in 2004 to apologise in person to the people of Liverpool over an article in The Spectator magazine in which Scousers were accused of “wallowing in grief” over the murder in Iraq of hostage Ken Bigley. In the same magazine edited by Johnson previous unfounded allegations made by The Sun in 1989, that “drunken fans” were in part to blame for Hillsborough in which 96 fans died, were repeated. Grovelling apologies were made to the Northerners in the city where some newsagents to this day refuse to sell copies of the tabloid newspaper. More apologies were uttered in 2008 during his London Mayoral campaign when it emerged he had referred to black people as “piccaninnies” and even referred to their “watermelon smiles”. A few months earlier he caused offence when he referred to the Shadow Foreign Secretary Emily Thornberry as the “Lady Baroness whatever” in the House of Commons. It was a clumsy attempt by Blundering Boris to take a swipe at her knighted husband’s status. Thornberry an extremely empowered woman and quite a formidable Labour politician is married to some titled bloke but chooses to use her own name. His comment incurred the wrath of Speaker John Bercow, who said his language was “inappropriate and frankly sexist” and so Johnson was forced to apologise. So how difficult is it for Johnson to say sorry to Muslim women? As I’ve just pointed out he’s no stranger to the ‘S’ word since his loud gob and bovine scatterings have landed him up to his neck in the brown stuff frequently. His display of specifically gendered Islamophobia will have consequences, of that I’ve no doubt. In fact I would go as far as to say any Muslim woman, veiled or otherwise, has been made a target by Johnson’s irresponsible, malicious, racist, misogynistic and Islamophobic article. His words were clearly honed, polished and despatched from his laptop to cause offence and to hell with the consequences. Make absolutely no mistake about the seriousness of his weaponised words and the consequences because I can virtually guarantee that somewhere in the UK a nikabi woman will be abused, verbally or otherwise, as a direct result. Oh, and just a quick add. I was listening to radio presenter John Humphrys on the BBC Today programme referring to Boris Johnson using his “typically colourful language”. No John it was certainly not. What he did mate, was use bigoted racist language. Is the BBC trying to normalise racism these days? As the song goes: “It’s sad, so sad. It’s a sad, sad situation. And it’s getting more and more absurd”. I live in the Scottish Borders, a part of the UK where many residents are striving to live “off the grid” by becoming totally self sufficient in water and power. One of my neighbours has nearly achieved this mission by installing solar roof panels and creating her own water supply. When it all works she’s the envy of the neighbourhood although admittedly there’s still a few teething problems. However I suspect more of us will opt for self sufficiency following the British Gas decision to increase prices for 3.5 million customers for the second time in a year! The 3.8% increase in its standard variable tariff (SVT) from 1 October means the average bill will rise by £44, taking it to £1,205 a year. Parent company Centrica blames new rises in wholesale energy prices. Centrica is the largest energy supplier in the UK. Meanwhile E.On, SSE, Npower, EDF, ScottishPower and Bulb have also increased their prices. No wonder so many of us are seeking alternative forms of energy. We already have our own water supply and will aim soon to have our own off-grid energy. The good news is that firms using alternative forms of power to generate electricity by harnessing natural resources like wind, waves and solar energy are very close soon to developing a totally independent source of power enabling us to tell the likes of Centrica to switch off! Along with odd socks, paperclips and ballpoint pens we can now add the old £1 coins to the mystery of their final resting place. According to the Royal Mint around 169 million coins have not been returned nine months after they ceased being legal tender. Milions of the old ones were melted down to produce the new 12-sided version in October last year. The good news is if you do find any round £1 coins you can still deposit them at your local bank. This week’s offering comes from former Tory chair and the first ever Muslim cabinet minister Sayeeda Warsi … if Theresa May has any sense she’ll get this woman back in the Cabinet and quickly!